Final Fantasy VI, [lower-alpha 1] also known as Final Fantasy III from its marketing for initial North American release in 1994, is a role-playing video game developed and published by Japanese company Square for the Super Nintendo Entertainment System. Final Fantasy VI, being the sixth game in the series proper, was the first to be directed by someone other than producer and series creator Hironobu Sakaguchi; the role was filled instead by Yoshinori Kitase and Hiroyuki Ito. Yoshitaka Amano, long-time collaborator to the Final Fantasy series, returned as the character designer and contributed widely to visual concept design, while series-regular, composer Nobuo Uematsu, wrote the game's score, which has been released on several soundtrack albums. Set in a fantasy world with a technology level equivalent to that of the Second Industrial Revolution, the game's story follows an expanding cast that includes fourteen permanent playable characters. The drama includes and extends past depicting a rebellion against an evil military dictatorship, pursuit of a magical arms-race, use of chemical weapons in warfare, depiction of violent, apocalyptic confrontations with Divinities, several personal redemption arcs, teenage pregnancy, and the continuous renewal of hope and life itself. It was ported by Tose with minor differences to Sony's PlayStation in 1999 and Nintendo's Game Boy Advance in 2006, and it was released for the Wii's Virtual Console in 2011. Nintendo re-released Final Fantasy VI in the United States in September 2017 as part of the company's Super NES Classic Edition. The game was known as Final Fantasy III when it was first released in North America, as the original Final Fantasy II , Final Fantasy III , and Final Fantasy V had not been released outside Japan at the time (leaving IV as the second title released outside Japan and VI as the third). However, most later localizations use the original title. Tose Co., Ltd. is a video game development company based in Kyoto, Japan. It is mostly known for developing Nintendo's Game & Watch Gallery series, various Dragon Ball games, as well as other Nintendo products. Tose has developed or co-developed over 1,000 games since the company's inception in 1979, but is virtually never credited in the games themselves. "We're always behind the scenes," said Masa Agarida, Vice President of Tose's U.S. division. "Our policy is not to have a vision. Instead, we follow our customers' visions. Most of the time we refuse to put our name on the games, not even staff names." As such, Tose has gained a reputation for being a "ghost developer". A dungeon crawl is a type of scenario in fantasy role-playing games in which heroes navigate a labyrinthine environment, battling various monsters, and looting any treasure they may find. Because of its simplicity, a dungeon crawl can be easier for a gamemaster to run than more complex adventures, and the "hack and slash" style of play is appreciated by players who focus on action and combat. However dungeon crawl often lack meaningful plot or logical consistency. In computing and telecommunications, a menu is a list of options or commands presented to the user of a computer or communications system. A menu may either be a system's entire user interface, or only part of a more complex one. A statistic in role-playing games is a piece of data that represents a particular aspect of a fictional character. 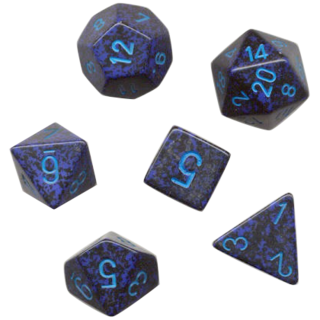 That piece of data is usually a (unitless) integer or, in some cases, a set of dice. In contrast to the medieval settings featured in previous Final Fantasy titles, Final Fantasy VI is set in a world with prominent steampunk influences. The structure of society parallels that of the latter half of the 19th century, with opera and the fine arts serving as recurring motifs throughout the game,  and a level of technology comparable to that of the Second Industrial Revolution. During the first half of the game, the planet is referred to as the World of Balance, and is divided into three lush continents. The northern continent is punctuated by a series of mountain ranges, the southern continent has been mostly subjugated by the cruel Gestahl Empire, and the eastern continent is home to the Veldt, a massive wilderness inhabited by monsters from all over the world. An apocalyptic event mid-game transforms the planet into the World of Ruin; its withering landmasses are fractured into numerous islands surrounding a larger continent. The game alludes to a conflict known as the "War of the Magi," which occurred one thousand years prior to the beginning of the game. In this conflict, three quarreling entities known as the "Warring Triad" used innocent humans as soldiers by transforming them into enslaved magical beings called Espers. The Triad realized their wrongdoings; they freed the espers and sealed their own powers inside three stone statues. As a precaution, the espers sealed off both the statues and themselves from the realm of humans. The concept of magic gradually faded to myth as mankind built a society extolling science and technology. At the game's opening, the Empire has taken advantage of the weakening barrier between the human and esper domains, capturing several espers in the process. Using these espers as a power source, the Empire has created "Magitek", a craft that combines magic with machinery (including mechanical infantry) and infuses humans with magical powers. The Empire is opposed by the Returners, a rebel organization seeking to free the subjugated lands. Final Fantasy VI features fourteen permanent playable characters, the most of any game in the main series, as well as several secondary characters who are only briefly controlled by the player. The starting character, Terra Branford, is a reserved half-human, half-esper girl who spent most of her life as a slave to the Empire, thanks to a mind-controlling device, and is unfamiliar with love. Other primary characters include Locke Cole, a treasure hunter and rebel sympathizer with a powerful impulse to protect women; Celes Chere, a former general of the Empire, who joined the Returners after being jailed for questioning imperial practices; Edgar Roni Figaro, a consummate womanizer and the king of Figaro, who claims allegiance to the Empire while secretly supplying aid to the Returners;  Sabin Rene Figaro, Edgar's independent brother, who fled the royal court to hone his martial arts skills; Cyan Garamonde, a loyal knight to the kingdom of Doma who lost his family and friends when Kefka poisoned the kingdom's water supply; Setzer Gabbiani, a habitual gambler, thrill seeker, and owner of the world's only known airship; Shadow, a ninja mercenary who offers his services to both the Empire and the Returners; Relm Arrowny, a young but tough artistic girl with magical powers; Strago Magus, Relm's elderly grandfather and a Blue Mage; Gau, a feral child surviving since infancy on the Veldt; Mog, a pike-toting Moogle from the mines of Narshe; Umaro, a savage but loyal sasquatch also from Narshe, talked into joining the Returners through Mog's persuasion; and Gogo, a mysterious, fully shrouded master of the art of mimicry. At Vector, the party attempts to rescue several Espers; however, the Espers are already dying from Magitek experiments and choose instead to offer their lives to the party by transforming into magicite. The group returns to Terra and observes a reaction between her and the magicite "Maduin". The reaction calms Terra and restores her memory; she reveals that she is the half-human, half-Esper child of Maduin and a human woman. With this revelation, the Returners ask Terra to convince the Espers to join their cause. To do this, she travels to the sealed gate between the human and Esper worlds. However, unbeknownst to the party, the Empire also uses Terra to gain access to the Esper world. There, Emperor Gestahl and Kefka retrieve the statues of the Warring Triad, raising a landmass called the Floating Continent. The group confronts Emperor Gestahl and Kefka at the Floating Continent, whereupon Kefka murders Gestahl. Kefka then tampers with the alignment of the statues, which upsets the balance of magic and destroys most of the surface of the world. One year later, Celes awakens on a deserted island. She learns that Kefka is using the three statues to rule the world in a god-like manner, and that his rule is causing all life to slowly wither away. After Celes finds her lost comrades, they decide to confront Kefka and end his reign. Once Kefka is killed and the statues are destroyed, the magic and Espers disappear from the world, but Terra is able to survive by hanging onto the human half of her existence. The group watches the world rejuvenate itself. The PlayStation re-release featured only minor changes to the English localization. The title of the game was reverted to Final Fantasy VI from Final Fantasy III, to unify the numbering scheme of the series in North America and Japan with the earlier release of Final Fantasy VII . A few item and character names were adjusted, as in the expansion of "Fenix Down" to "Phoenix Down". Unlike the PlayStation re-release of Final Fantasy IV included in the later Final Fantasy Chronicles compilation, the script was left essentially unchanged. The Game Boy Advance re-release featured a new translation by a different translator, Tom Slattery. This translation preserved most of the character names, location names, and terminology from the Woolsey translation, but changed item and spell names to match the conventions used in more recent titles in the series. The revised script preserved certain quirky lines from the original while changing or editing others, and it cleared up certain points of confusion in the original translation. The Wii Virtual Console release used the Final Fantasy III name of the SNES game. Nobuo Uematsu's former rock band, The Black Mages, released a progressive metal version of Dancing Mad on their eponymous first album in 2003. Their third album, subtitled Darkness and Starlight , is so named after its premiere track: a rock opera version of the entire opera from FFVI, including the Aria di Mezzo Carattere performed by Etsuyo Ota. The original Super Famicom version was released for the Wii Virtual Console in Japan on March 15, 2011,  in PAL territories (Europe and Australia) on March 18, 2011, and in North America on June 30, 2011. The game was released in the West with its original North American title of Final Fantasy III. The Super Famicom version was later released on the Wii U Virtual Console in Japan. On December 22, 2015, Square Enix released the Game Boy Advance version on the Wii U Virtual Console in Japan. A Windows PC port, itself a port of the Android version, was released for Windows PC via Steam on December 16, 2015. The Steam release featured controls optimized for PC, Steam achievements and trading cards. ↑ Japanese:ファイナルファンタジーVI, Hepburn:Fainaru Fantajī Shikkusu ? Chrono Trigger is a role-playing video game developed and published by Square for the Super Nintendo Entertainment System in 1995. 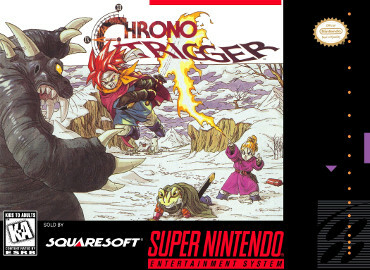 Chrono Trigger's development team included three designers that Square dubbed the "Dream Team": Hironobu Sakaguchi, the creator of Square's successful Final Fantasy series; Yuji Horii, a freelance designer and creator of Enix's popular Dragon Quest series; and Akira Toriyama, a manga artist famed for his work with Dragon Quest and Dragon Ball. In addition, Kazuhiko Aoki produced the game, Masato Kato wrote most of the story, while composer Yasunori Mitsuda wrote most of the soundtrack before falling ill and deferring the remaining tracks to Final Fantasy series-composer Nobuo Uematsu. The game's story follows a group of adventurers who travel through time to prevent a global catastrophe. Final Fantasy V is a medieval-fantasy role-playing video game developed and published by Square in 1992 as a part of the Final Fantasy series. The game first appeared only in Japan on Nintendo's Super Famicom. It has been ported with minor differences to Sony's PlayStation and Nintendo's Game Boy Advance. An original video animation produced in 1994 called Final Fantasy: Legend of the Crystals serves as a sequel to the events depicted in the game. It was released for the PlayStation Network on April 6, 2011, in Japan. An enhanced port of the game, with new high-resolution graphics and a touch-based interface, was released for iPhone and iPad on March 28, 2013, and for Android on September 25, 2013. Chocobo Racing, known in Japan as Chocobo Racing: Genkai e no Rōdo, is a racing game for the PlayStation game console. The game was developed by Square Co., creators of the Final Fantasy series of video games. The game was first released in Japan in March 1999. North American and European releases followed that year. Final Fantasy Crystal Chronicles is an action role-playing game developed by The Game Designers Studio and published for the GameCube by Nintendo in 2003 in Japan; and 2004 in North America, Europe and Australia. A remastered version for Nintendo Switch and PlayStation 4 will be released in 2019. A spin-off of the Final Fantasy series, Crystal Chronicles was the first title released for a Nintendo console since Final Fantasy VI in 1994. Terra Branford, known as Tina Branford in Japanese media, is a character in the Final Fantasy series of role-playing video games published by Square Enix. Designed by Yoshitaka Amano and Tetsuya Nomura for the main series installment Final Fantasy VI, she also appeared in the spin-off fighting games Dissidia Final Fantasy and Dissidia 012 Final Fantasy, and made small appearances in several other games in and outside the Final Fantasy series. Final Fantasy XII is a fantasy role-playing video game developed and published by Square Enix for the PlayStation 2 home video console. A part of the Final Fantasy series, the game was released in 2006. It introduced several innovations to the series: an open world, a seamless battle system, a controllable camera, a customizable "gambit" system, which lets the player control the artificial intelligence (AI) of characters in battle, a "license" system, which determines what abilities and equipment can be used by characters, and a hunting side quest, which allows the player to find and defeat increasingly difficult monsters in the game's open world. Final Fantasy XII also includes elements from previous games in the series, such as Chocobos and Moogles. Kefka Palazzo is a character in the Final Fantasy series of video games. Originally designed by Yoshitaka Amano, he appears in the 6th installment of the series - Final Fantasy VI. First introduced as the court jester and army general under Emperor Gestahl, throughout the game he reveals himself to be a nihilistic psychopath after setting in motion events leading to the Apocalypse and pronouncing himself the God of Magic. From that point he acts as the game's primary antagonist. Square's role-playing video game Final Fantasy VI features fourteen permanent player characters, the largest number of any game in the main Final Fantasy series, as well as a number of characters who are only briefly controlled by the player. Final Fantasy IV is a Nintendo DS role-playing video game and an enhanced remake of the 1991 SNES game, Final Fantasy IV, also known as Final Fantasy II in America for the SNES. It was released as part of the Final Fantasy series 20th anniversary celebrations on December 20, 2007 in Japan, on July 22, 2008 in North America, and on September 5, 2008 in Europe. Shinji Hashimoto is a Japanese game producer at Square Enix. He currently serves as the Final Fantasy series Brand Manager, as an Executive Officer at Square Enix and the Head of Square Enix's Business Division 3. He is also the co-creator of the Kingdom Hearts series. He served as corporate executive of the company's 1st Production Department during its entire existence. 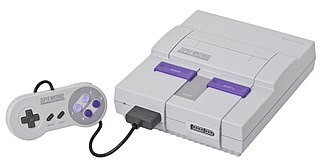 1 2 "Super NES Classic Edition". Nintendo of America, Inc. September 29, 2017. 1 2 Square Enix staff, ed. (1999). Final Fantasy Anthology instruction manual. Square Enix. p. 39. SLUS-00900GH. 1 2 "Final Fantasy VI—Battle Systems". Square Enix. 2002. Archived from the original on 2008-03-09. Retrieved 2006-07-21. ↑ "IGN Presents: The History of Final Fantasy VII". IGN. 2008-04-30. Archived from the original on 2014-01-28. Retrieved 2009-04-01. ↑ Square Enix staff, ed. (1999). Final Fantasy Anthology instruction manual. Square Enix. p. 47. SLUS-00900GH. ↑ Square Co (1994-10-11). Final Fantasy III. Super NES. Square Soft. (NPC in Jidoor) You like art? No? Philistines! ↑ Square Co (1994-10-11). Final Fantasy III. Super NES. Square Soft. Left statue: The birth of magic... three goddesses were banished here. In time they began quarreling, which led to all-out war. Those unlucky humans who got in the way were transformed to Espers, and used as living war machines. / Right Statue: The goddesses finally realized that they were being laughed at by those who had banished them here. In a rare moment of mutual clarity, they agreed to seal themselves away from the world. With their last ounce of energy they gave the Espers back their own free will, and then transformed themselves... ...into stone. Their only request was that the Espers keep them sealed away from all eternity. / Center Statue: The Espers created these statues as a symbol of their vow to let the goddesses sleep in peace. The Espers have sworn to keep the goddesses' power from being abused. ↑ Square Co (1994-10-11). Final Fantasy III. Super NES. Square Soft. (Soldier) Open up! Give us back the girl and the Empire's Magitek Armor! ↑ Square Co (1994-10-11). Final Fantasy III. Super NES. Square Soft. Wedge: Not to worry. The Slave Crown on her head robs her of all conscious thought. She'll follow our orders. ↑ Locke: On the surface, Edgar pretends to support the Empire. The truth is, he's collaborating with the Returners, an organization opposed to the Empire. I am his contact with that group... The old man you met in Narshe is one of us. Square Co (1994-10-11). Final Fantasy III. Super NES. Square Soft. ↑ Square Co (1994-10-11). Final Fantasy III. Super NES. Square Soft. (NPC in Vector) That guy Kefka? He was Cid's first experimental Magitek Knight. But the process wasn't perfected yet. Something in Kefka's mind snapped that day...! 1 2 3 "Final Fantasy SGI Demo". RPGamer. Archived from the original on 2007-09-30. Retrieved 2006-08-10. ↑ Terra: You... saved me? / Locke: Save your thanks for the Moogles! / Terra: Uhh... I can't remember anything... past or present... / Locke: You have amnesia!? Square Co (1994-10-11). Final Fantasy III. Super NES. Square Soft. ↑ Banon: Have you made a decision? Will you become our last ray of hope? ... / Terra: I'll do it! Square Co (1994-10-11). Final Fantasy III. Super NES. Square Soft. ↑ Locke: ...Where's Terra? / Celes: She changed into a...something, and...took off. She looked like... She looked like...an Esper... Square Co (1994-10-11). Final Fantasy III. Super NES. Square Soft. ↑ (Unidentified character) Terra looks like she's in pain. / Ramuh: Her very existence strikes fear into her own heart. / (Unidentified character) How can we help her? / Ramuh: When she accepts this aspect of herself, I think she'll be all right. / (Unidentified character) We have to help her! / Ramuh: Then free those of my kind imprisoned in Gestahl's Magitek Research Facility. One of them can surely help her. Square Co (1994-10-11). Final Fantasy III. Super NES. Square Soft. ↑ (An Esper) Our friends are all gone... We haven't much time left... We have no choice but to entrust you with our essences... / Esper: You want to help me... But... I haven't long to live. Just as Ifrit did before me, I'll give to you my power... Square Co (1994-10-11). Final Fantasy III. Super NES. Square Soft. ↑ Terra: Father...? I remember it all... I was raised in the Espers' world. ... / Terra: I'm the product of an Esper and a human... That's where I got my powers... Now I understand... I finally feel I can begin to control this power of mine... Square Co (1994-10-11). Final Fantasy III. Super NES. Square Soft. ↑ Arvis: I see... Your plan would combine Narshe's money with Figaro's machinery to storm the Empire... not enough manpower, though... / Banon: We have to open the sealed gate... Terra!? / Terra: To the Esper World...? / Arvis: We'll never beat the Empire without them. / Banon: When the gate has been opened, the Espers can attack from the east. We'll storm in at the same time, from the north. No way around it. We MUST get the Espers to understand. We have to establish a bond of trust between humans and Espers. Only one person can do this... Terra... / Terra: Half human, half Esper... My existence is proof that such a bond CAN exist... I'll do it. I'm the only one who can! Square Co (1994-10-11). Final Fantasy III. Super NES. Square Soft. ↑ Kefka: G'ha, ha, ha! Emperor's orders! I'm to bring the Magicite remains of these Espers to his excellency! Behold! A Magicite mother lode!! Square Co (1994-10-11). Final Fantasy III. Super NES. Square Soft. ↑ Setzer: We've been had!! The Emperor is a liar! ... / Edgar: I got to know the gal who brought us tea. After a while, she just blurted out the whole crooked plan. Square Co (1994-10-11). Final Fantasy III. Super NES. Square Soft. ↑ Cid: Celes... at last...! You're finally awake... / Celes: I... feel like I've been sleeping forever... / Cid: For one year, actually... ... / Cid: We're on a tiny, deserted island. After the world crumbled, I awoke to find us here together with... a few strangers. / Cid: Since that day, the world's continued its slide into ruin. Animals and plants are dying... The few others who washed up here with us passed away of boredom and despair. Square Co (1994-10-11). Final Fantasy III. Super NES. Square Soft. ↑ Celes: Terra! What's wrong? The Magicite... Magic is disappearing from this world... / Edgar: The Espers... They no longer exist... / Celes: You mean Terra, too? / Terra: Come with me. I can lead you out with my last ounce of strength. Square Co (1994-10-11). Final Fantasy III. Super NES. Square Soft. 1 2 3 4 5 6 "The Making Of... Final Fantasy VI". Edge . Future Publishing (251): 124–127. March 2013. ↑ Ishaan (2013-08-06). "Final Fantasy VI Took Just One Year To Make Says Director Yoshinori Kitase". siliconera.com. Archived from the original on 2014-04-19. Retrieved 2014-04-28. 1 2 Parish, Jeremy (2010-02-24). "Final Fantasy: Kitase's Inside Story". 1UP.com . UGO Networks. Archived from the original on May 15, 2016. Retrieved 2010-09-11. ↑ "Hironobu Sakaguchi/Chairman and CEO". Square USA. Archived from the original on 2000-05-11. 1 2 3 Square Co., Ltd. (1994-04-02). Final Fantasy VI (in Japanese). Super Famicom. Square Co., Ltd. Scene: staff credits. ↑ "Interview with Hironobu Sakaguchi". Shūkan Famitsū . ASCII Corporation. 1998-06-05. Archived from the original on February 6, 2011. ↑ "Dissidia: Final Fantasy Interview". Eurogamer. 2009-05-07. Archived from the original on 2015-02-07. Retrieved 2013-04-13. ↑ Kitase, Yoshinori (2009-08-27). "The Making of Dissidia Final Fantasy—Final Words from the Producer". 1UP. Archived from the original on March 10, 2013. Retrieved 2013-04-13. 1 2 Musashi. "RPGFan Reviews – Final Fantasy Anthology". RPGFan. Archived from the original on 2009-08-01. Retrieved 2009-10-22. ↑ "Iwata Asks: In Conversation with Takahashi & Sakaguchi". Nintendo. 2011-11-11. Retrieved 2013-04-13. ↑ Ogura, Masaya (2013-03-16). "「最近目指しているのは，洗練された美しいドット絵，ですね」――FF誕生以前から，アルバム「FINAL FANTASY TRIBUTE ～THANKS～」までを，スクウェア・エニックスのデザイナー・渋谷員子氏に振り返ってもらった". 4Gamer. Archived from the original on 2013-05-08. Retrieved 2013-04-13. ↑ "Final Fantasy Retrospective Part IV". Gametrailers.com. Archived from the original on 2016-04-25. Retrieved 2008-04-20. ↑ Otterland. "Final Fantasy VI—Retroview". RPGamer. Archived from the original on 2007-09-30. Retrieved 2006-07-22. 1 2 3 4 5 "Final Fantasy III". Electronic Gaming Monthly . Ziff Davis (63): 172. October 1994. 1 2 3 "Fantasy Quest: Interview with Ted Woolsey". Super Play . Future Publishing. 1 (23). September 1994. ISSN 0966-6192. 1 2 Beckett, Michael. "Final Fantasy VI – Staff Re-Retroview". RPGamer. Archived from the original on 2010-09-13. Retrieved 2009-10-28. ↑ "Final Fantasy VI advance info". GameFAQs. 2007. Archived from the original on 2010-05-13. Retrieved 2007-05-03. 1 2 Dunham, Jeremy (2007-02-15). "IGN: Final Fantasy VI Advance Review". IGN. Archived from the original on 2012-11-04. Retrieved 2009-01-12. ↑ Schreier, Jason (2007). "Final Fantasy VI Advance Staff Review". RPGamer. Archived from the original on 2007-09-27. Retrieved 2007-05-03. ↑ Farand, Eric. "Original Game Concert 4". RPGFan. Archived from the original on 2006-09-13. Retrieved 2006-08-10. ↑ "Uematsu's Music—More Friends". Square Enix USA. Archived from the original on 2008-04-09. Retrieved 2007-06-20. ↑ Gann, Patrick. "More Friends music from Final Fantasy ~Los Angeles Live 2005~". RPGFan. Archived from the original on 2007-06-11. Retrieved 2007-06-20. ↑ Thomas, Damian. "RPGFan Soundtracks—Final Fantasy III: Kefka's Domain". RPGFan. Archived from the original on 2013-08-17. Retrieved 2006-07-22. ↑ "Play! A Video Game Symphony Upcoming Concerts". Play! A Video Game Symphony. Archived from the original on 2009-12-09. Retrieved 2007-06-20. ↑ Aversa, Andrew. "Final Fantasy VI: Balance and Ruin OC Remix". OCRemix. Archived from the original on 2014-09-04. Retrieved 2014-09-17. 1 2 3 "Final Fantasy Collection Coming". IGN . Archived from the original on 22 August 2016. Retrieved 27 July 2007. ↑ Square Enix staff, ed. (1999). Final Fantasy Anthology instruction manual. Square Enix. p. 30. SLUS-00900GH. ↑ Square Enix, ed. (1999). Final Fantasy Anthology instruction manual. Square Enix. pp. 50–53. SLUS-00900GH. ↑ Gantayat, Anoop (August 31, 2012). "Full Final Fantasy 25th Anniversary Ultimate Box Game List". Andriasang. Archived from the original on 2012-10-19. Retrieved September 2, 2012. ↑ Hindman, Heath. "Final Fantasy VI Joins Series Brethren on PSN". PlayStationLifeStyle.net. AtomicOnline, LLC. Archived from the original on 2011-10-06. Retrieved 2011-04-18. ↑ "Announcing Square Enix's Winter of RPGs Campaign" . Retrieved November 3, 2011. ↑ "Final Fantasy VI Advance for Game Boy Advance". GameSpot. Archived from the original on 2010-02-19. Retrieved 2010-03-26. ↑ Final Fantasy VI Official Complete Guide (in Japanese). Japan: Square Enix. January 2007. p. 011. ISBN 4-7575-1846-3. ↑ Villoria, Gerald (2007-02-14). "Final Fantasy VI Advance". GameSpy. Archived from the original on 2013-07-31. Retrieved 2014-04-28. ↑ Gantayat, Anoop (2011-02-25). "Final Fantasy VI Set for Virtual Console". andriasang.com. Archived from the original on 2012-12-25. Retrieved 2011-02-26. ↑ "Final Fantasy VI Finally Hits The U.S. Virtual Console". Siliconera. Siliconera. Archived from the original on 2011-07-04. Retrieved 2011-06-30. ↑ Spencer. "Final Fantasy VI Moogle Slamming Virtual Console In North America". Siliconera. Siliconera. Archived from the original on 2011-04-20. Retrieved 2011-04-18. ↑ Totilo, Stephen (9 October 2013). "Final Fantasy VI Is Coming To iOS and Android, VII Could Follow". Kotaku. Retrieved 15 July 2018. ↑ Diener, Matthew (2014-01-15). "[Update] SNES classic Final Fantasy VI arrives on Android". Pocketgamer.co.uk. Archived from the original on 2014-04-11. Retrieved 2014-04-28. ↑ Reed, Chris (2015-10-22). "Final Fantasy VI Review". Slide to Play. Archived from the original on 2016-04-28. Retrieved 2016-04-14. ↑ Ford, Eric (10 February 2014). "'Final Fantasy VI' Review - Pure Magic(ite)". TouchArcade. Retrieved 15 July 2018. ↑ Schreier, Jason. "The Ugliest Version Of Final Fantasy VI Is Coming To Steam". Kotaku. ↑ "Final Fantasy III for Super Nintendo". GameRankings . CBS Interactive. Archived from the original on 2011-08-06. Retrieved 2009-01-12. ↑ "Final Fantasy VI Advance for Game Boy Advance". GameRankings . CBS Interactive. Archived from the original on 2011-08-06. Retrieved 2009-01-12. ↑ "Final Fantasy VI Advance for Game Boy Advance Reviews". Metacritic . CBS Interactive. Archived from the original on 2011-08-06. Retrieved 2014-05-15. ↑ "Final Fantasy VI for iPhone/iPad Reviews". Metacritic . CBS Interactive. Archived from the original on 2014-05-25. Retrieved 2014-05-15. ↑ "Final Fantasy VI Review for GBA from 1UP.com". 1Up.com. Archived from the original on 2012-05-24. ↑ "SquareSoft". Edge Reviews Database. Archived from the original on 13 July 2011. Retrieved 2008-09-13. ↑ "Final Fantasy Anthology: Reviews". GameRankings. Archived from the original on 2014-12-31. Retrieved 2014-12-31. ↑ Parkin, Simon (2007-03-06). "Final Fantasy VI Advance". Eurogamer.net. Archived from the original on 2014-10-06. Retrieved 2014-04-28. 1 2 "Famitsu Hall of Fame". Geimin.net. Retrieved 7 February 2012. ↑ "Final Fantasy – famitsu Scores Archive". Famitsu Scores Archive. Archived from the original on 2008-04-16. Retrieved 2008-07-16. ↑ プレイステーション – ファイナルファンタジーVI. Weekly Famitsu. No.915 Pt.2. Pg.19. 30 June 2006. 1 2 Scary Larry (November 1994). "Final Fantasy III". GamePro. IDG Communications. 64 (11): 192–194. ↑ Mueller, Greg (2007-02-13). "Final Fantasy VI Advance for Game Boy Advance Review". GameSpot. Archived from the original on 2015-09-30. Retrieved 2014-04-28. ↑ Final Fantasy III Review - IGN It's called FF III at the time. ↑ Ford, Eric (2014-02-10). "'Final Fantasy VI' Review – Pure Magic(ite)". TouchArcade . Retrieved 2018-08-03. 1 2 "Electronic Gaming Monthly's Buyer's Guide". 1995. ↑ Mackey, Bob (2015-09-04). "Hironobu Sakaguchi Clears the Air on Final Fantasy VI". USgamer . Archived from the original on 2015-09-05. Retrieved 2015-09-05. ↑ "Titles of game software with worldwide shipments exceeding 1 million copies" (PDF). Square Enix. 2004-02-09. p. 27. Archived (PDF) from the original on 2013-11-09. Retrieved 2008-03-01. ↑ "1999 Top 100 Best Selling Japanese Console Games". The Magic Box. Archived from the original on 15 December 2014. Retrieved 16 August 2007. ↑ "US Platinum Videogame Chart". The Magic Box. Archived from the original on 2007-04-21. Retrieved 2005-08-13. ↑ "2006年ゲームソフト年間売上TOP500" [2006 Game Software Annual Sales Top 500]. Famitsū Gēmu Hakusho 2007ファミ通ゲーム白書2007 [Famitsu Game Whitebook 2007] (in Japanese). Tokyo: Enterbrain. 2007. p. 387. ISBN 978-4-7577-3577-4. JPNO 21240454. Archived from the original on 2015-06-26. 1 2 Vestal, Andrew (1999-10-14). "Final Fantasy Anthology for PlayStation Reviews—PlayStation Final Fantasy Anthology Reviews". GameSpot. Archived from the original on 2016-04-12. Retrieved 2006-07-16. ↑ Final Fantasy III. Nintendo Power 65, page 27. October 1994. ↑ Now Playing. Nintendo Power 65, page 103. October 1994. ↑ "Now Playing". Nintendo Power . Nintendo of America Inc. 65: 103. October 1994. ↑ 100 Best games of all time. Nintendo Power 100, page 89. September 1997. ↑ "Top 100 Games of All Time". Next Generation . No. 21. Imagine Media. September 1996. p. 64. ↑ Nintendo Power 250th issue!. South San Francisco, California: Future US. 2010. p. 49. ↑ Reyes, Francesca. "Final Fantasy Anthology". IGN. Archived from the original on 2012-12-03. Retrieved 2006-06-19. ↑ Alley, Jake. "Final Fantasy VI—Review". RPGamer. Archived from the original on 2007-09-27. Retrieved 2006-07-01. ↑ Lewis, Zachary. "Final Fantasy VI—Retroview". RPGamer. Archived from the original on 2007-09-30. Retrieved 2006-07-01. ↑ Harris, Craig (2007-03-16). "Top 25 Game Boy Advance Games of All Time". IGN. Archived from the original on 2012-09-07. Retrieved 2007-03-18. ↑ "IGN's top 100 games of all time". IGN. Archived from the original on 2005-08-02. Retrieved 2014-04-28. ↑ NP Top 200. Nintendo Power 200. February 2006. pp. 58–66. ↑ Campbell, Colin (2006). "Japan Votes on All Time Top 100". Next Generation Magazine. Archived from the original on July 23, 2008. Retrieved 2006-03-11. ↑ "Top 5 Must-Own RPGs". X-Play. Archived from the original on March 14, 2012. Retrieved 2009-10-13. ↑ "Top 20 SNES Games (10–1)". ScrewAttack's Top 10 . Gametrailers. April 7, 2008. Archived from the original on 2013-03-08. Retrieved 2009-10-24. ↑ "The Video Game Hall of Fame – Final Fantasy III (US)". IGN. Archived from the original on 2013-11-04. Retrieved 2014-04-28. ↑ "Top 100 RPGs of All Time". IGN. 2011-06-22. Archived from the original on 2013-06-22. Retrieved 2018-02-02. ↑ "IGN's Top 100 Games of All Time". IGN. 2007. Archived from the original on 2014-05-12. Retrieved 2014-04-28. ↑ Cork, Jeff (2009-11-16). "Game Informer's Top 100 Games of All Time (Circa Issue 100)". Game Informer . Archived from the original on 2016-02-13. Retrieved 2013-12-10. ↑ "Best SNES games". GamesRadar. 2014-05-09. Archived from the original on May 2, 2014. Retrieved 2014-05-13. ↑ "Top 100 RPGs of All Time". IGN. 2017-05-01. Retrieved May 14, 2017. ↑ "Final Fantasy V and VI Have "Technical Issues" on DS". Wayback.archive.org. Archived from the original on 2012-06-03. Retrieved 2013-03-07. ↑ Goldman, Tom. "Square Considering Final Fantasy V & VI Remakes On 3DS". Escapistmagazine.com. Archived from the original on 2012-10-04. Retrieved 2013-03-07. ↑ Osborn, Alex (2015-06-17). "E3 2015: FF7 Director Wants to Remake More Final Fantasy Games". IGN. Archived from the original on 2015-11-03. Retrieved 2015-11-08. ↑ "Nintendo Official SNES Classic Edition site". Archived from the original on 2017-07-06.